More, TBA! Please check out my Facebook page for more concerts and clinics. 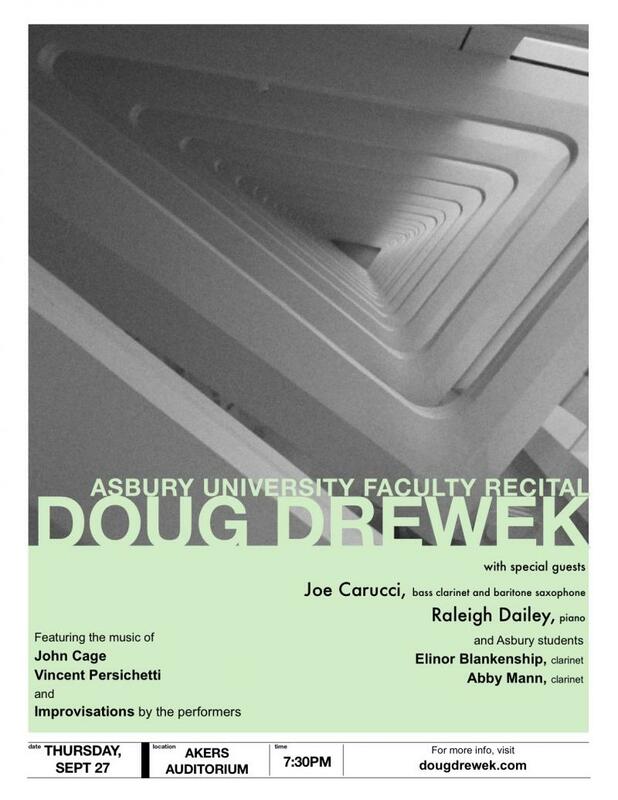 I'll be performing at Asbury University on Sept. 27, 7:30pm in Akers Auditorium with Raleigh Dailey and Joe Carucci. We will be playing the music of John Cage and Vincent Persichetti, as well as improvising our own music. Copyright 2010 dougdrewek.com. All rights reserved.